There are a several different types of redirects but the two most common types are temporary and permanent redirects. This article will guide you through the steps to create temporary redirect and permanent redirect in Apache web server. Temporary redirects are useful if a URL temporarily needs to be served from a different server or location. For instance, if you are performing site maintenance, you may wish to create a temporary redirect of from your domain to an explanation page to inform your visitors that the original website will be back shortly. Permanent redirects are useful when your content has been permanently moved to a new location, like when you change domain names. ServerName www.yourdomain2.com . . . This redirect instructs the browser to direct all requests for www.yourdomain1.com to www.yourdomain2.com. This solution, however, works only for a single home page, not for the entire site. ServerName www.yourdomain2.com . . .
We've added the aforementioned redirect using a RedirectMatch directive. We use RedirectMatchinstead of a simple Redirect to make sure that all website pages will get affected, not only the home page. The ^/(. *)$ regular expression matches everything after the / in the URL. For example, http://yourdomain1.com/index.html will get redirected to http://yourdomain2.com/index.html. 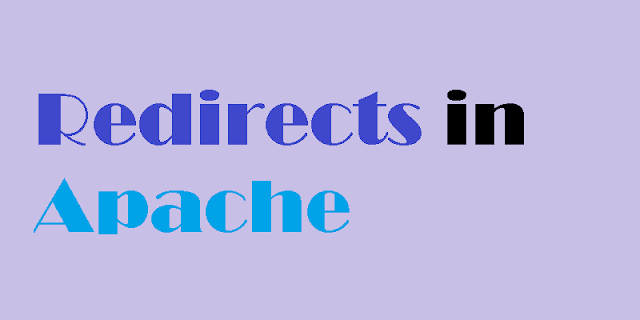 To achieve the permanent redirect we simply add permanent after the RedirectMatch directive. Suppose your website had two separate pages for products and services called products.html and services.html respectively. Now, you've decided to replace those two pages with a single offer page called offers.html instead. We will configure a simple redirect for products.html and services.html to offers.html. The Redirect directive accepts the original address that has to be redirected as well as the destination address of a new page. Since the change here is not a temporary one, we used permanent in the directive as well. You can use as many redirects like that as you wish to make sure your visitors won't see unnecessary Not Found errors when moving site contents. You now have the basic knowledge to redirect requests to new locations or page. Be sure to use the correct redirection type. There are multiple other uses of HTTP redirects, including forcing secure SSL connections (i.e. using https instead of http) and making sure all visitors will end up only on the www. prefixed address of the website.